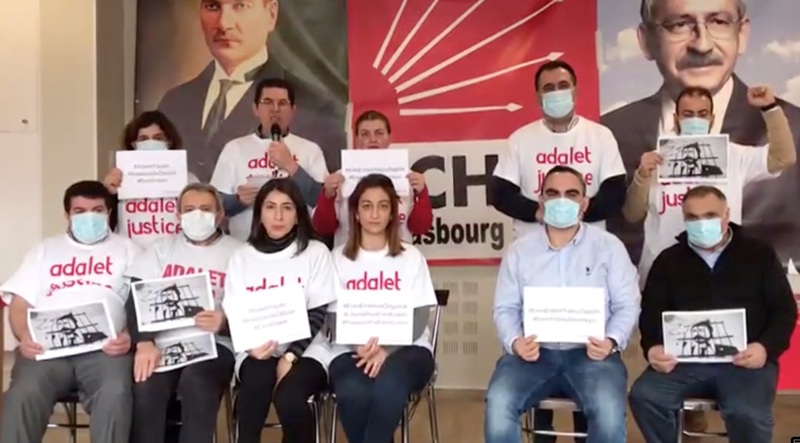 A HUNGER STRIKE in support of the imprisoned Erem Erdem has been kicked off by the executive board of the Republican People’s Party’s (CHP) Strasbourg Union. This comes in the wake of Erdem, the former CHP deputy, having spent the past 220 days in a prison in Silivri, one of Istanbul’s suburban districts. He has also been on hunger strike there. The board headline their strike “ one-day hunger strike” and further emphasizes it is ‘Watch for Justice Fast’ for Erdem. A statement, explaining the solidarity with Erdem, said: “Erdem has started justice fast for everyone who is thirsty for justice. Justice fast is resistance against staining innocence. His demand is to be judged fairly like in every state of law. Istanbul’s 23rd high criminal court decided a supervised release for Erdem, a former MP and Editor in Chief of Karşı Daily, which was closed under the emergency rules after the coup attempt in July 2016, with ban travel to abroad on January 7. However, subsequently the release verdict was appealed, and an upper court issued an arrest warrant for him. Thus, he couldn’t walk away from the courtroom. He has been in prison since June 2018. He is accused of helping the Gulen movement, deemed a terrorist organisation by Ankara.